I recently had the chance to read the book, Walk Through Fire, by Carly and David Bowers. Theirs is an incredible story of overcoming after David an accident at work that leaves David with third degree burns on 94% of his body. 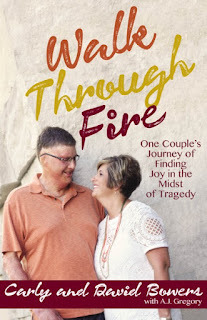 There were a few pages in the book where Carly speaks about choosing joy in the midst of hard things - her hard being her husband fighting a battle for his life in the Burns Intensive Care Unit - that really stuck with me. So I asked if I could share them here. If you like this, I encourage you to buy the book. It was a lot easier to be strong, to stay grounded and fixed in hope, when David was lucid, joking with me and the nurses, making his signature verbal jabs. When he wasn’t, I had to make a choice. I had to choose joy in that moment. It was tempting sometimes to slink into despair, to allow the haunting questions that constantly churned in my brain, sometimes in whispers and other times in deafening lament, to overwhelm me. Is David really going to be okay? And what does okay mean? Is he just one surgery away from taking a turn for the worse? Do my kids hate me for not being around? Are they even capable of understanding what’s happening? 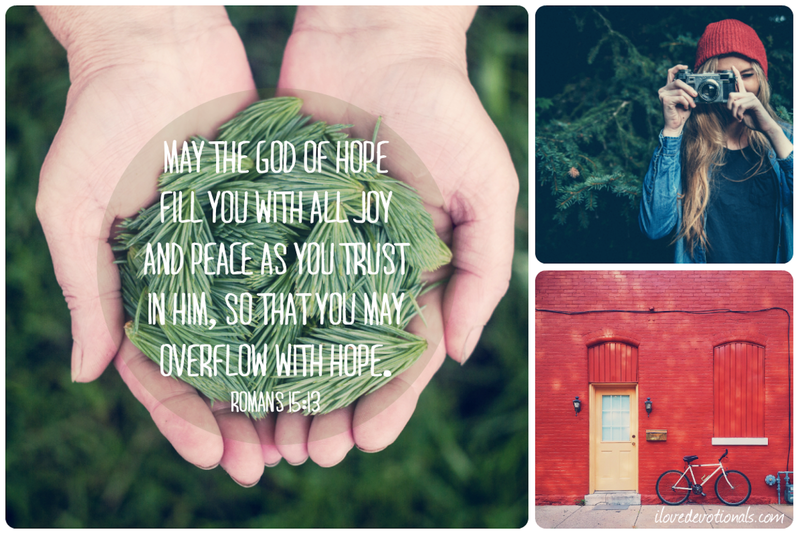 One of the verses in the Bible I often thought of during this time was Romans 15:13, “May the God of hope fill you with all joy and peace as you trust in Him, so that you may overflow with hope” (NIV). I began to understand the difference, the big difference, between joy and happiness. The two words are often confused or used interchangeably. Happiness is circumstantial. It can change depending on what you are going through or what you have in the moment. Many times we believe we will be truly happy when we get married, land that job, win the lottery, lose the weight, or when the kids are out of the house. Happiness is fleeting and typically evaporates in times of crisis. Joy, on the contrary, is not dependent on circumstances. It’s an attitude that requires courage, commitment, and strength. Deciding to live with joy, even seeking it out when we need to, allows us to face tough times head on. And not just to merely survive the experience, but to be shaped in an incredible way that changes us for good for life. Many things helped me choose joy on a daily and even hourly basis. Sheila, a dear friend, had bought me a copy of Tim Hansel’s book You Gotta Keep Dancing. She had never read it, but just happened to be in a bookstore one day when her eyes landed on the cover. Something stirred in her heart. She felt nudged by God to purchase the book for us. Hansel, who passed away in 2009, wrote about discovering the true meaning of joy while suffering a lifetime of chronic panic, the result of a tragic mountain climbing accident in the Sierras. I read the book cover to cover in one sitting, sometime in the first few weeks of David’s admission to the BICU. If we choose to ignore joy, we allow ourselves to be as miserable as we want to be. And while there might be something familiar or comforting digging our heels into that wretched place, there is another option—joy. It didn’t come naturally most of the time. It wasn’t an organic response when David was unconscious for the first forty-eight hours and doctors seemed pretty skeptical that he would survive. I had to consciously and intentionally choose joy when every part of my being wanted to crawl deep in a hole and stay there. 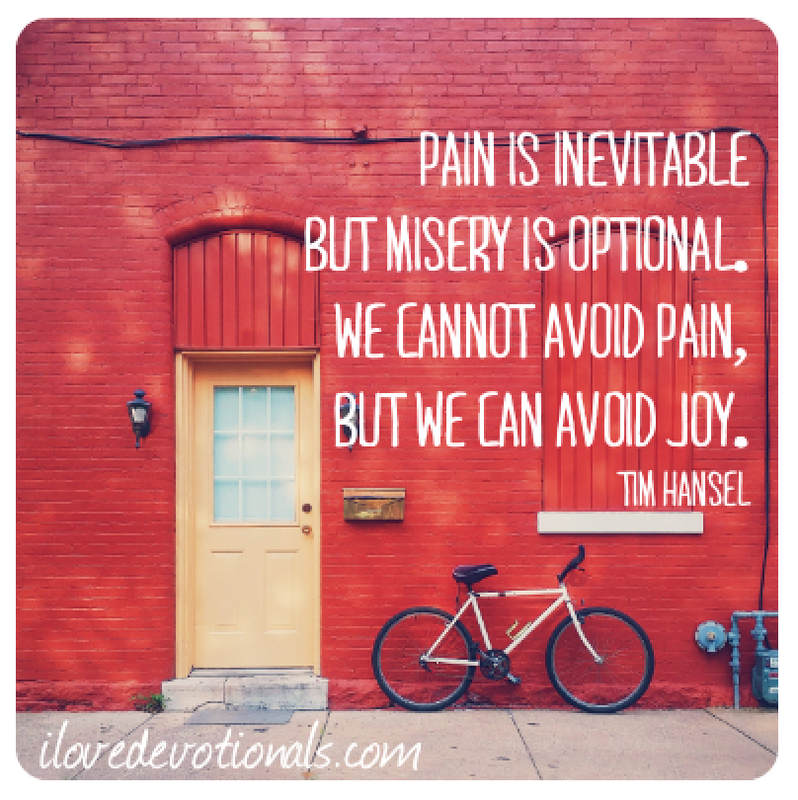 I had to choose joy when my husband was in so much pain that taking as little as two steps left him barely able to breathe. I had to choose joy when my kids were sick, or missing their parents, or questioning what was happening. I found the more I chose to battle the urge to wallow in misery, the more habitual it became. 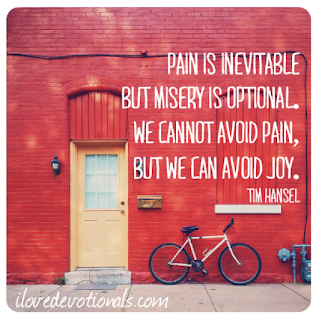 Ponder: Can you think of any times in your day today when you have avoided joy? What could you do to choose joy in those moments? Prayer: God, I ask you to fill me with all joy and peace as I do my best to you. As I do this Lord, help me to overflow with hope. Adapted from Walk Through Fire by Carly and David Bowers. Used with permission. Emphasis mine. On August 20, 1999, David Bowers was scheduled to be off work. However, plans changed and so did everything else that day when a horrific industrial gas plant explosion burned over 94 percent of his body and left him facing a 125 percent mortality rate. This unexpected tragedy turned Carly and David Bowers' comfortable world upside down. While this story does involve tragedy, that is not the theme of their lives or this book. Through darkness and shadows and many unknowns, they have found victory and hope. Their story is a message of healing and of growing closer to God and to each other. What emerges from this tragic accident is a unique perspective on hope, joy and faith in God. Walk Through Fire is a poignant reminder that you will find hope, even when you can barely see where the next step in life will lead. You can get the first chapter of their book for FREE from their website when you sign up to their newsletter. *This post includes affiliate links to Amazon that help to feed my book habit.